Hey There! Ohh! Montepulciano, Italy and wine tasting – does life get any better than that? I think not! I love wine, all kinds of wine, but some of my favorite wines come from Montepulciano, Italy. My husband had asked, “Where do you want to go for your birthday weekend?” To which I replied, “To drink some wine, of course!” So, off we went to Montepulciano, Italy. This little town in Tuscany is the cutest little thing I have ever seen. Seriously, it’s like you stepped back in time. Best part is that there was wine everywhere! We wandered the quaint streets of the old town, stopping for glasses of wine as we went. You will find wineries, tasting studios, and wine bars in every nook and cranny of this amazing destination. We had a wine tasting scheduled at one of the most famous wineries in Montepulciano – The Gattavecchi Winery. The Gattavecchi family themselves were waiting to show us around the cellars. The winery dates back three generations, and in 1944 it was bombed (and almost lost due to the war); however, the family rebuilt the winery, and today it is a very prestigious name in wine-making circles all over Italy. The cellars are the original cellars started by great-grandfather Gattavecchi. We took a few minutes to walk down into the cellars and bask in the glory of the giant barrels of aging wine. You know I wanted to put a straw in one of them, but I think that would have been frowned upon. The Gattavecchi wine is aged at least two years before it is released, and they have a multitude of wines you can choose from. They have won awards around the world, for amazing wine ,so that is good enough for me to want to have some! So, how do you know what wines to buy? You taste them, of course! After touring the cellars, we sat down to a nice antipasto plate and waited for the main course – the wine. We had been promised a flight of three amazing red wines along with a food paring. I was so excited! I mean, come on! What is cooler than tasting your favorite wines from the actual winery in Italy?! Our first wine tasting came – Rosso di Montepulciano DOC. This is produced with 90% of the Sangiovese grape, which is local to the area. This wine has a berry flavor and is deep red in color. It’s good if you are having a bold meal with a lot of flavors. Due to its strong flavor, it wont get lost when paired with foods. There is nothing worse than losing your wine in your food, am I right? Vino Nobile di Montepulciano DOCG came next on the wine-tasting list, and this wine is also 90% Sangiovese grapes; however, instead of berry flavors, you will taste more of a plum flavor. It is a dry wine and has a very strong flavor. This is great to pair with steak or cheese plates. Wine Tip: If you fall in love with this wine, make sure you open this bottle and let it sit for about two hours before drinking it. I know, I know – how do you look at an open bottle of wine for two hours and not drink it? Ummmm, I’m not sure about this answer. I will need to further research this question for you. I’m sure some people do it. I just don’t know any of them personally. Our third tasting was Vino Nobile di Montepulciano DOCG Riserva. This wine is 100% Sangiovese grapes, rich, and almost has a spicy-like flavor. It is also a dry wine but with a lot of flavor. You feel like a party is happening in your mouth! This is also great to pair with meats and strong cheeses. Again, you need to let this one breathe for a few hours. If you just can’t wait, because you are a wino like me, then at least decant it! Most importantly, Amber had found something to keep busy with while I was guzzling wine as quickly as I could! Nothing like a string of corks to entertain a one year old! The staff had recognized my husband, “the famous athlete“, and our conversation had now shifted to basketball and lots of oooh’s and ahhhh’s. Um, hello! WHO CARES! It’s my birthday! Geez, people! As you can imagine, I was actually really ready to go at that point. My wine was gone, and the conversation was no longer between my husband and I – it was between my husband and everyone else in the cantina (mostly about how freakin’ amazing he is.) He gave me the “don’t be a hater” smile, and I tried not to slap him. On and on it went. Soon, my head was laying on the table with bread stuck to my forehead; it wasn’t pretty. Suddenly, more wine appeared at the table! Wait, WHAT?! You want to talk basketball and bring me more wine?! I’m all in! Talk away, talk as long as you want, as long as the wine keeps-a-comin! So, the questions about my amazing husband kept firing away, autographs were signed, and photos were taken. I even broke out a pen so he could sign a few more autographs. I didn’t care because my wine tasting turned into wine drinking! All was good in the world again. We actually tasted every wine produced under the Gattavecchi name that afternoon. Can I say HEAVEN again, or is it too much? I even stole my husband’s wine because he was too busy being amazing to drink it. I have to say, things became a bit blurry. When we got to the white wine, well, it could have been Boone’s Farm for all I cared. Happy freakin’ birthday to me! Could my day get any better than this? No, I think not! 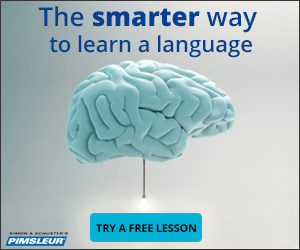 Oh, wait – yes it can! We could buy some wine to take home! Mr. Amazing, my husband, could break out his credit card cause it’s my birthday, it’s my birthday! We bought my favorites which were the Vino Nobile di Montepulciano DOCG and Vernaccia Di San Gimignano DOCG along with Chianti Colli Senesi DOCG. At the end of the day, hugs were given and cheeks were kissed all around. One or two more photos were taken for the Gattavecchi Facebook page, a final autograph was signed, and off we went, waving as we left my wine heaven birthday party! If you want to do a wine tasting at the Gattavecchi Cellar, you can contact them via email at degustazioni@gattavecchi.it. They have three different options for wine flights and wine paring. You can also customize your wine tasting and order products on their website. We stayed at La Terrazza di Montepulciano, booked through Booking.com . Fantastic stay! The hotel has parking which is a must while there. Everything is within walking distance from the hotel, too. Roberto is the owner and his family lives on site. They serve an amazing homemade breakfast with juice and coffee. Have you been to Montepulciano? What is your favorite wine from the area? Drop a comment below! I would love to hear from you! If you enjoyed our article, please sign up to subscribe to our blog and you will receive an email every time I publish a new story. 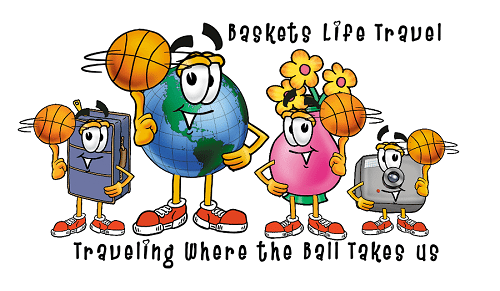 Please be advised – Baskets Life Travel is an affiliate partner of travel sites to bring you the best prices, locations, hotels, car rentals, and flight options. If you click on a link, we could receive payment, goods, or compensation. We only promote travel we have personally used and we know you will love, too. All opinions are our own. Beautiful location, but your family is adorable as well. Looks like the perfect way to spend an afternoon. Montepulciano is one of my husband's favorite wines! I bet he would like to go with me here! I really enjoy wine tasting. The decor of this place is really interesting too. It does sound like a haven for wine lovers. This post has had me in fits on giggles- I think I've finally found someone who loves wine as much as I do! I'm glad it kept you entertained whilst the basketball chat was going on. If I'm ever in Tuscany I'll be sure to check this place out! I so want to go on a wine tasting trip in Italy, it sounds so lovely! Montepulciano is so pretty too! What an adventure! Even the baby seemed to have a great time. I would love to go wine tasting in Italy but I'm a bit far away. This winery looks very classy and old world which is different from the wineries near me. Wine tasting in Italy?! Does not get any better, indeed! Sounds like an amazing experience. I only tried wine a couple of times. They said the older it is, the taste becomes better. Please correct me if I'm wrong. I wanted to try a wine testing someday, it'll be a nice experience. Learned a lot about Montepulciano from this post, I had never heard of it before. I would LOVE to do a wine tasting in Italy! How fun. Love the labels of the wine, too, which is unfortunately how I chose the wines I like for the most part. ;) I love that your daughter found something to occupy her interests, too. ;) Cute. This looks like a dream come true!! as a lover of italy and wine, this would be a dream location!! My next trip to Tuscany, I will definitely have to check this location out. I love going wine tasting! It's always so much fun and this place looks great. Glad you had a good time. My favorite activity (wine tasting). I think Italy has the best wine. I did this about 2 years and I took my 18 year god-daughter. Great memories for you and your family. Wine tasting in Italy is one of my favourite things to do! I haven't been to Montepulciano, but it sure looks and sounds divine! I love wine and wineries! They are the perfect way to spend a day. Sounds like you had a great birthday here and I'm sure I would too. Looks wonderful! Classic! Your head on the table with bread stuck to it. Must be interesting travelling with someone who is well recognised. I'd definitely just drink more wine. I absolutely love Tuscany, but haven't been to this little wonder town. We went underground to the caves in Epernay, France, so I know how great it feels to be in something like this. Noting this for future trips to Italy, should we return to the Tuscan hills. Great experience. Ha, ha ... What a funny post! You made me laugh. like your humour! "... Soon, my head was laying on the table with bread stuck to my forehead .... my wine tasting turned into wine drinking .... I even stole my husband’s wine because he was too busy being amazing to drink it...' :-) Happy Birthday! I wish you many laughs and good wine tastings! Cheers! What an incredible experience. Love all the photos! looks like so much fun. i haven't been wine tasting in what seems like forever. You have an awesome and wonderful husband to whisk you away to beautiful Italy for your birthday ~ how fun would that be taking in the landscape of Tuscany and enjoying all that delicious wine along the way! This is so cool and a bucketlist item for sure. For years I have been trying to get my husband to go wine tasting with me in Italy. I have toured Italy extensively myself but would love to return to the rolling vineyards in several areas and just enjoy tasting them there. Great post, love all the cute pictures of the town and the winery. Heading to Toscana in May, so really looking forward to some local wines! beautiful pictures! the food looks so delicious! I love wine tasting and it's even better when you taste it in places like these! That is definitely my kind of birthday. I am all about the wine tasting. We were going to go to the Montepulciano area last year, but stayed up in Chianti instead. It's been on my short list ever since. Where did you stay? Lovely story about wine tasting in town of Montepulciano which I have never heard before. Actually, I would not call myself a wine lover but drink it occasionally. My favorite wine is semi-sweet. Sounds like a great birthday weekend to me! I'd love to be able to visit Italy and especially get to taste the amazing wine. Never been to Italy yet, but I do love wine, so I guess I'll be in paradise. ;) Thanks for sharing your experience and all the tips. What an awesome way to spend your birthday weekend! I would have been a little frustrated too with the basketball talk on your special day, but they must have sensed that and that's why they brought you all the extra wine haha! Lovely stuff! I'm road tripping around the area (from Florence to Rome) in a few months, any other must visits? I do love Tuscany - I haven't been to Montepulciano, though I have been to Abruzzo where they make the 'other' Montepulciano (Montepulciano d'Abruzzo). It's not as nice as the Tuscan sort in my opinion, but still interesting. omg! Wine tasting that's happening in Italy sounds like dream! Def must do! Sign me up for this one :).....love the wine tours. Wish I could own a cellar like that one in the post. Wow! Would love to wine taste in Italy! I went to Italy about five years ago, but I was pregnant so I didn't do much wine tasting! When I go back one day, I'll remember your tips!! Happy birthday! I would love to go wine tasting or vidit a winery. This little town sounds like a gem, not very touristy, or am I wrong? That's a shame about people talking away to your husband, but at least you got to drink a lottt of wine! Hope you had a great birthday! Wow! what an amazing experience it will be - Wine & Italy. I love both of them. I can well imagine your condition when the whole attention will be on your husband on your birthday. I've never been much of a drinker and have only tried a few cheap wines that didn't agree with me. I would to try something that is made better. I guess one day I will have to take a trip to Italy. We were in Tuscany last October and had a similar experience near San Gimignano. An eye-opener, truly. And what a gorgeous region it is, right? This looks gorgeous! Beautiful surroundings and beautiful wine! That is perfect letting your husband do all the talking and interacting, while you can just keep drinking that delicious wine. I suddenly got a craving for some wine now. Too bad I am at work, but almost done. Then I will have a glass, or even a bottle, of wine. Great post and happy birthday! you had me at WINE! I too went to the Italian wine region of Chianti instead. So funny they recognized your husband and you got a little jealous! I am 10000% like that too when people don't give me ALLLLL the attention on my birthday haha. At least you got some more wine out of it! I would love to do an entire Italian road trip and hit up every single winery! Me too Stopping at every winery in Italy would be like an amazing dream!! RIGHT! Thank you for reading!